Thank you for the quick answer. Now everything clear and easy. You have to use the Step Shaping command. 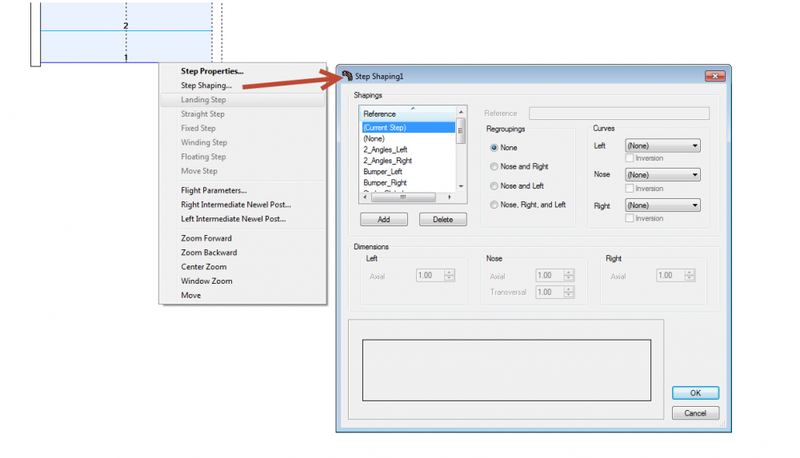 to access the command, click right on the step nosing and select Step Shaping. In “Regrouping” tick “none” and in the “Curves” use the drop down lists to add a 1/2 circle to left and right. Note that in my example I’ll need to put a riser under the step to support it. I’m new. 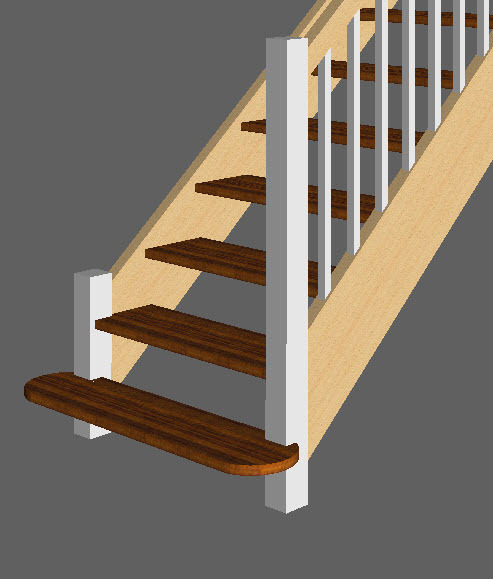 I am doing my first stairs in Stairdesigner. My question is: how to make ending of steps (nose) semicircular?